I guess, we're in the same boat, sadly. TF2 never dead. Because if TF2 dead, then TF2R dead, and TF2R never ever dead! Cool beans; btw wasn't sure if "high school" was implying I was in high school so to clarify I am dying in one of these: https://www.erhs.la/downloads/breyes/college.jpg . Probably is different in other countries, but basically at the end of a school semester, all the courses you've taken have one "final" test (called a final) that covers everything that was taught in the course. The issue is that these finals can cover a very large amount of information you have to know, you only have 0.5 - 2 weeks to study, and all the finals are typically pushed into a single week (called the dreaded "finals week") which means you can have more than one final on the same day. ntm these things are several hours long each. It's not as bad as it sounds but it can still get quite ugly. Out of curiosity, that pic contest is closed now? Hey kid, are you interested in some profile pictures? They're totally legal, really. You must be a pretty good drummer! can you please send me your trade offer link so i can send a trade offer on the future when i win ? it would be appreciated...or do i have to find it out myself (steam) ? You can add me in friends please and try to trade? Thanks for the raffle.XD Thanks for it.Really appreciated. I just wanted to say that your facts regarding musicians are a fun bit of trivia to experience on a regular basis, and do not go unread by everyone. I enjoy them so thank you for putting the time in to share all of them. Any ideas about this Apollo mission? I decided to post here,because i don't want any flamewars to happen (nobody knows what words can bring,after all) .It's about that comment in this raffle http://tf2r.com/kkbohkl.html .His reaction is pretty much explainable.Georgians don't like Russians since 2008. It's kinda common thing: relations between these 2 countries are still uneasy.Sadly,he is right about my countrymen flooding sites like this one.It is also a part of statistics: most begging comments are written in Cyrillic.Thanks for your words. How do you even find these steam game key giveaways? Very true, the poorer get poorer and the rich get rich af. BROTHER!!! i have found you!!! 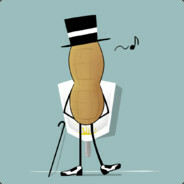 +Peenuts Thanks For The Advise. Have You ever won some thing?? интересно я выиграю когда не будь ? I hate it when my peanuts piss peenut juice.